I’m sure we’ve all heard the expression “Save for a rainy day”. Establishing a cash reserve is a smart decision that everyone and every business should implement. Real estate is no exception. 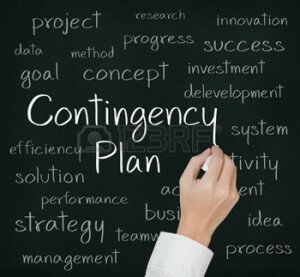 For those learning how to invest in real estate, a reserve fund, also known as Contingency, is an account set aside to meet any unforeseen costs that may arise in the future. It also covers the future costs of upkeep requirements you know will happen, but you’re not sure exactly when they will occur. These building components are called capital expenditures. They include tasks such as replacing a roof, replacing a heating, ventilation, and air conditioning (HVAC) system, or resurfacing a parking lot. They all have a useful life span so you typically know approximately how soon they will need replacing. A reserve fund is not designed to cover small repairs and maintenance activities like fixing a door hinge or replacing light bulbs. These minor costs should be captured under the operating expenses. A reserve fund provides the owner flexibility to address emergencies that can be expensive, without affecting the ability to pay for routine expenses. It also allows the owner to pay for large expenditures without having to take on additional debt to pay for them. If you are learning how to invest in real estate, I think you can see why establishing a reserve fund for a property is so important. When analyzing a property Marc and I always factor in a reserve. This way, when something come up we have the funds available to take care of it without taking on any more debt to pay for it. Many lenders (i.e. banks) will require a reserve fund to be set aside in escrow to cover any major capital expenditures over the term of the loan. Hence it’s always important to include those figures in your underwriting exercise. As you learn how to invest in real estate, one thing to keep in mind is that some sellers and listing brokers may intentionally exclude reserves from a proforma in order to put the Net Operating Income in more favorable light, and thus improve the property’s valuation. That is why as buyers it’s so important to do a thorough due diligence on the property’s financials. We need to take into account all possible expenditures when underwriting a property’s. Using conservative numbers is beneficial here as it gives you more wiggle room. Excluding them can significantly impact the valuation and potentially your profits. How much money should be set aside for a reserve fund is dependent upon the age and condition of the property, as well as the investor’s exit strategy. Regardless of your strategy, a reserve fund must always be considered and investors need to incorporate it in their analysis. If you want to learn more about how investing in real estate can benefit you, drop us a line.